Photos by Brad wenskoski, Dennis O'Leary, and our loyal members! With its convenient location just off Central Avenue near Westgate Plaza, Albany's Indoor Rockgym has been helping climbers of all levels hone their skills since 1995. 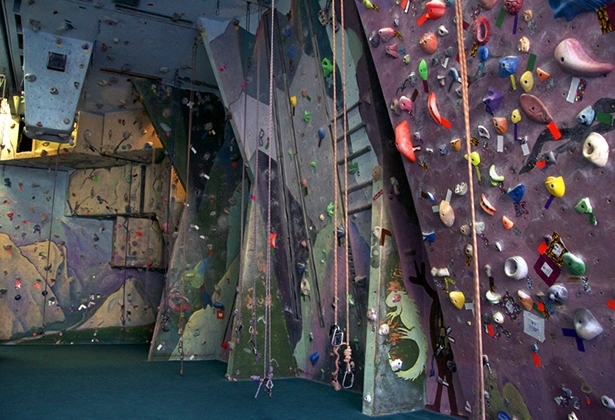 The gym's features were developed based on decades of outdoor climbing experience and offer a variety of technique-building opportunities. A.I.R. also has the nation's only indoor caving system, complete with half a mile of tunnels and a 60 foot indoor zipline! Climbing with us of course! Please note that any child under the age of 10 years old must be accompanied by an adult in a ONE TO ONE ratio at all times while in our facility. Parents are required to be the young child's belay partner while child is climbing and also accompany them into the caves. This is a policy we have to STRICTLY ENFORCE to ensure safety of both the children and our other gym guests. Please note that if the proper one to one ratio is not met, that child will be unable to participate. Call to schedule your own hours when you have groups of 20 or more! *Sign up for our work-exchange program and get an unlimited gym membership. *Looking for people who can commit to their selected shift on a weekly basis with minimal absences. The Nations only indoor cave system! No charge to freeze a membership for up to 3 weeks. A $5.00 charge will incur each month for any membership freeze 4 weeks or longer. Bring in 2 clients who purchase a membership and receive 1/2 off your next membership of equal value. Bring in 1 client who purchases a membership and receive $5.00 off your next membership. Family Fun Day: (Sunday 12pm-4pm) Kids are half price on admission with a paying adult. Any child under the age of 10 MUST be accompanied by an adult/guardian in a ONE TO ONE child to parent ratio at all times while in our facility (including waiting areas) as part of our safety requirements. If the proper ratio is not met, the child will be unable to participate. The accompanying adult will not be charged if only present in helping to belay a child. Please call us to clarify any questions regarding this policy. 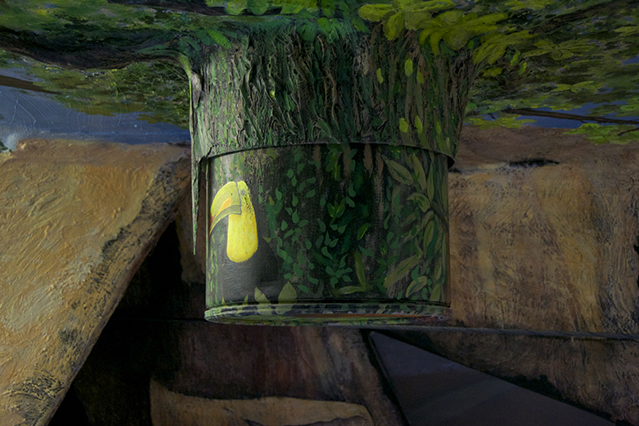 Admission for individuals is by full-day pass, and permits access to both the cave and the climbing walls. Equipment rental is likewise full-day, but is only necessary for climbing (not for caving). Basically, you pay one price up front and you can climb 'till we close. If you want, you can leave, get lunch, whatever, and come back; re-entrance is free for the rest of the day (for individuals only). Please note that discounts are available both for groups and for purchasing passes in bulk (i.e. with punchcards or memberships). All prices include tax where applicable. Also, all membership offers and punchcards pertain to admission cost only, and not to equipment rental. Punchcards never expire and are transferable. Memberships are non-transferable. Includes 3 hours of rock climbing and caving. Shoes and harness rentals included. *Participants under the age of 10 must still adhere to the "one to one ratio" of parent to child. * Participants under 18 years old must have a waiver form filled out and signed by THEIR parent or guardian. *Please note that a $50 non-refundable deposit is recommended to hold the date and time (which will be deducted from the final group cost). Parties can reschedule with no additional fees. GROUP RATES DO NOT APPLY TO THOSE BOOKING BIRTHDAY PARTIES IN OUR PARTY ROOM. FULL PRICE OF $18.50/pp IS CHARGED REGARDLESS OF GROUP SIZE. Book Your Next birthday/event in our new party room! A private space to set up and host your group which includes your own personal entrance to the caves! Tables/seating set up in your own lofted room above the climbing floor. Price covers admission, rental equipment and use of the room for a 3hr reservation. Guests are welcome to bring any food, drinks, snacks or decorations to add their own personal touch. TO ALL GROUPS: Please note that it is pertinent for all members of your group to be present before we can get you started. Be here by your start time! Punctuality is key! *Please be aware that our gym operates as a training facility in that anyone new to climbing is required to LEARN how to climb and participate safely under our standard policies and procedures set in place. If after our introduction to the facility rules and climbing lesson demonstration, a participant is unable to uphold to our safety standards we reserve the right to ask the participant to sit out from participating in any activities and/or leave the premises if deemed necessary with partial/no refunds depending on the situation. We hope that all our visitors understand this policy is to ensure the safety of all our guests. Think outside the box when it comes to your next class outing and consider us as your next off-site gym class! WE CAN EVEN WORK AROUND YOUR SCHOOL/BUSINESS DAY! Call to schedule outside of our normal business hours and have the gym to yourselves for a full day of activity. 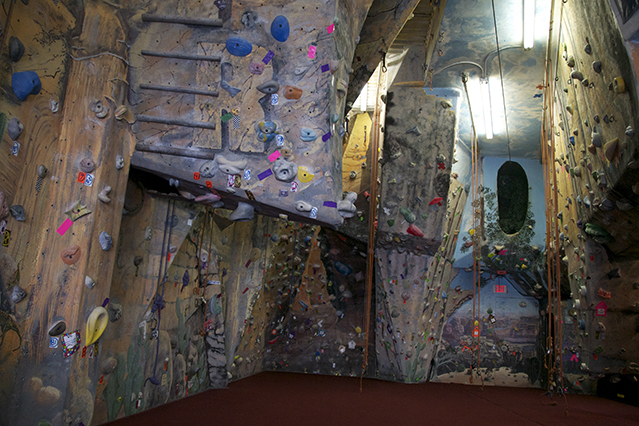 Tired of going to the indoor rock gym when its to busy to climb your favorite routes? Can't find time during the day to get all of your friends together to climb? Then reserve a night to stay at the gym all night long! *Must have 10 or more participants to reserve. Groups under 18 years of age requires adult supervision. Want a great way to challenge your co-workers, friends, teammates, or club members? Try a team building activity. Done during our off hours which allows for a private setting, participants can work together to solve problems through climbing, caving and other activities. Programs are designed to involve everyone at one's comfort level to maximize full participation. Each problem builds upon the prior problem, culminating into a mental and physical challenge like no other. *Ask about our discounts on team building activities for educational programs or groups (colleges, universities, high schools, etc). 4 hour session: $55.00 per person with a minimum of 15 participants. Reservations: $100.00 deposit is required. Hours: Monday-Wednesday 10am-2pm & Saturday 8am-12pm. Want a 1-on-1 instruction to enhance climbing skills? Work on technique, rappelling, anchoring, or sport climbing. Tell us the skill you want to work on or acquire and we can show you how to get there. Tailored to all levels of climbers, from beginning to advanced. Make a reservation as an individual or small group! Throughout the Spring, Summer and Fall, join us for a day out on the "rocks". Outing dates for 2018 will be posted soon and sign ups will be required! All participants must provide their own transportation to the climbing sites. We offer rock climbing clinics for ages 10 to adult every summer! Each clinic runs five days, and covers the following topics: Basic climbing techniques • Climbing safety • Belay device lessons • Knot tying • Rappelling • Climbing/caving games • A one or two day outdoor climbing session. Youth Clinic: Monday-Thursday 9AM-1PM with an outdoor excursion on Friday for Level 1 and outdoor excursions on Thursday and Friday for Level 2. Adult Clinic: Monday-Thursday 7pm-10pm with an outing(s) on Saturday/Sunday (determined by group). Participants may arrive earlier and/or stay later to practice learned skills at no extra charge. Don't forget that everyone under 18 needs to have a risk form filled out and signed by their parents! Must have at least 4 participants to run the clinic. A $75.00 non-refundable deposit is required to hold your spot and must be in by June 22nd. Balance must be paid in full 1 week prior to starting. No refunds or make-up's for days missed. Rock Climbing is a great alternative to Physical Education class. $14.50 for 1st child (includes admission and rental fee) and just $8.00 for additional siblings. No classes on school closings or breaks. Children 8 years to 18 needs to have a risk form filled out and signed by their parents. Children 8 & 9 must be accompanied by an adult (1 to 1 ratio). All new guests must fill out a waiver before being eligible to participate.